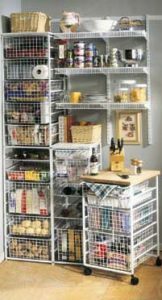 The Schulte Corporation combines both wood and wire to produce a variety of unique storage products for home, office and institutional use. 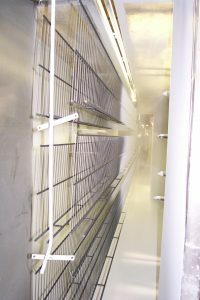 Schulte was concerned with material utilization and the capability of their existing powder coating equipment. Therefore, Schulte began considering new options for their expanding business. The plant engineer, Steve Koehl, turned to Gema USA to improve their operation. Gema USA upgraded the existing system with OptiTronic Control Units and new guns. Also included in the upgrade was a remote powder feed hopper and a vibratory sieve for reclaiming powder, improving quality and consistency. Schulte immediately realized a substantial reduction in powder, the elimination of downtime, and extended life for their wear-parts. After using the new equipment for three months, the average powder savings was 32%. Based on powder savings and cost, this translates into a total payback in less than three months.